Josh Waitzkin knows what it means to be at the top of his game. A public figure since winning his first National Chess Championship at the age of nine, Waitzkin was catapulted into a media whirlwind as a teenager when his father's book Searching for Bobby Fischer was made into a major motion picture. After dominating the scholastic chess world for ten years, Waitzkin expanded his horizons, taking on the martial art Tai Chi Chuan and ultimately earning the title of World Champion. How was he able to reach the pinnacle of two disciplines that on the surface seem so different? "I've come to realize that what I am best at is not Tai Chi, and it is not chess," he says. "What I am best at is the art of learning." The Art of Learning takes listeners through Waitzkin's unique journey to excellence. He explains in clear detail how a well-thought-out, principled approach to learning is what separates success from failure. Waitzkin believes that achievement, even at the championship level, is a function of a lifestyle that fuels a creative, resilient growth process. 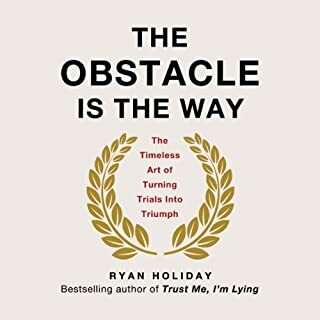 Rather than focusing on climactic wins, Waitzkin reveals the inner workings of his everyday method, from systematically triggering intuitive breakthroughs, to honing techniques into states of remarkable potency, to mastering the art of performance psychology. In stories ranging from his early years taking on chess hustlers as a seven year old in New York City's Washington Square Park, to dealing with the pressures of having a film made about his life, to International Chess Championships in India, Hungary, and Brazil, to gripping battles against powerhouse fighters in Taiwan in the Push Hands World Championships, The Art of Learning encapsulates an extraordinary competitor's life lessons in a pause-resisting narrative. This book chronicles the life of Josh Waitzkin's rise in both the chess and martial arts world - becoming a world champion in both domains. Josh gives very detailed accounts of chess and Tai Chi - from learning the arts, to mastery to competition. 4) maintaining focus / going with the flow / not getting frazzled even when things are not going your way. The book reinforced some things which I knew and tried to work on. I can't say the book was earth shattering or gave me that 'wow - I never knew that' feeling. Also - there are many detailed accounts of chess and martial arts tournaments which set the backdrop for each of the principals. I felt this could have been boiled down into a white paper but, still, there were some good anecdotes. Anyone who competed in martial arts, or any sport, will relate very well to Josh's stories. What made the experience of listening to The Art of Learning the most enjoyable? Josh has incredible passion for chess and martial arts. This came across in his reading and it is what makes this memoir memorable and inspiring. This really isn't a book with a story. rather a memoir of his life experiences and what he learned from that. There is a complication to this that needs to be overcome by the listener. Josh is beyond brilliant and dedicated. His approach probably shares characteristics with savants and obsessive compulsive driven individual. this is not to diminish his incredible accomplishments but the listener needs to reconcile this. As an avid average amateur athlete and marital artists I identified with what Josh discussed. But it is simply not possible to put some of his approaches into practice. I personally do not posses that level of talent. However it is an inspirational memoir that resonated with me and I took a lot away from listening to it. Which character – as performed by Josh Waitzkin – was your favorite? What did you learn from The Art of Learning that you would use in your daily life? Ultimately I thought the memoir was a study in the practical applications of Buddhist thought. Define your own path, nurture it and dedicate your self to its perfection. In this way I found the ideas presented inspirational to myself as a martial artist and amateur athlete. I would recommend this book since the concepts could be applied to anybody in any walk of life. Whether you are trying to be a better parent, student or professional there are ways you can focus and learn how to develop your personal skill set. This is a short book, but I am glad I read it. This book in incredible, I honestly did not think it would be so profound. Perhaps its message and style wouldn't suite other people, but for someone like me, who is always struggling with motivation/procrastination, trying to deconstruct his own behavior and decisions, lifelong learners, parents, over-achievers... Yes, it is certainly worth it. The book doesn't give you a solution, and it doesn't claim to. But it gives you a path and a glimpse of the solution. Besides, it is just plain fascinating for Josh's story of chess and martial arts careers. P.S. Beware that the book is actually only ~6 hours long. The last ~1.5 hours is a podcast-interview with Josh, done by (somewhat famous) Tim Ferriss. It is useful for sure, but I just wanted to make this clear, because it surprised me. I read some reviews stating that this book was merely a biography of Josh . Yet this is one biography that is filled with many kernels of wisdom. If you are not receptive or it is not time for you to appreciate this it will pass you by. This is a very honest and hard-working account of a person who reached the highest levels of intellectual and physical prowess. At the end in the final interview with Tim Ferris you get a few more insights into Josh's life. This book is largely a collection anecdotal stories about how the author mastered chess and tai chi chuan. I many ways it seems like a long promotion for tai chi chuan. There are, however, some nuggets of wisdom on how to apply learning techniques for mastering other subjects. Overall, a good read but I think the title is misleading. One should also be aware that Tim Ferris owns the rights to this book, which is likely a big reason for his heavy promotion of it. Amazing book and story. Thoughtful book that really makes you think about how you can improve your focus and learning processes. Light on practical details but picked up a handful of great pointers. Notes below! Depth over breadth. The power f the micro to understand the macro. I.e. Writing about one small brick of a building versus the whole town. Allows you to see less but more. I.e. When you start compounding multiple chunks of patterns and pathways they give you the ability to breakdown complex situations easily by focusing on the "higher level groupings" and the underlying logic and other chunks that support each grouping are nearly subconscious. Your opponent moves, then you move first. Setting a trigger to get in the zone - work backwards. Find out what soothes you (throwing ball with son). Then set up a routine ahead of that soothing moment then begin to physiology connect the two in order to routine. Handling anger in peak performance (I.e. Getting head butted, dirty players, etc.). Must channel our emotions and use them as deep pools of inspiration. I.e. Talking back to Jordan would actually expire him and sharpen his game. Easy to be non-violent in a rose garden. Ending work day with good work. listened to w/a speed of 1, not the usual 1.5 or 2. depth, not breadth. What disappointed you about The Art of Learning? I decided to read 'The Art of Learning' after seeing that it was selected as the third book in the Tim Ferriss Book Club. As his two previous recommendations were so good, I elected to give this one a go as well. 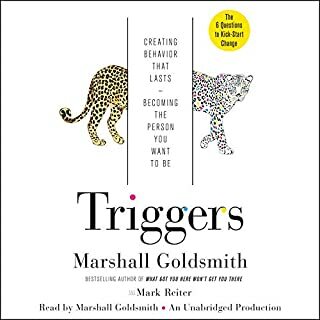 This book is more autobiographical in nature than a work that teaches you knowledge which you can apply to any skill that you may choose to pursue. Waitzkin espouses on the minutiae of chess and Tai Chi Push Hands martial arts, yet he spends little time delineating pragmatic knowledge that you can apply in your own life. Simply put, the title is highly misleading. If you're looking for an autobiographical account of Josh Waitzkin's life, this is the book for you. On the contrary, if you're seeking a work on performance psychology and 'the art of learning', your time is better spent elsewhere. Would you ever listen to anything by Josh Waitzkin again? Based on the misleading title, no. What did you love best about The Art of Learning? 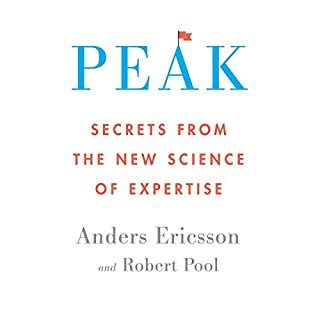 The psychology behind mastering and learning anything can be learned from this book. If you are obsessive about whatever you put your focus into and are constantly reviewing yourself and performance trying to achieve always higher levels, this book is for you. Loved the ideas about chunking, and subconcious abilities in addition to focus and basics. Learned so much that i'm anxious to start trying in my own life. What does Josh Waitzkin bring to the story that you wouldn’t experience if you just read the book? Amazing experiences told by a great story teller who has lived the adventures first hand. It's not often that someone is a master of chess and martial arts (at least from my experience). Interesting individual with remarkable ability to learn and master. Loved the interview with Tim Ferris at the end as well. Seems that the principles in this book can apply to anything from boxing, learning piano, learning to draw, raising and motivating children to name a few. People who just want to listen to an autobiography of a successful chess player and push hands champion. Probably not. He might be a successful chess play and push hands champion but his story telling is dull. What didn’t you like about Josh Waitzkin’s performance? His descriptions of everyone were bland and the same. Everyone he meets is always amazing at what they do and he always gives them a bland and over the top description. The stories that he does tell are often quite boring and he seems to remember them in great detail, despite them happening some years ago. One particular example that stood out for me was a story about a guy in the rainforest who was almost killed by a large cat. In addition, what few learning points exist in this book are lost inbetween Josh's reminiscing stories and I can't remember any practical methods that he suggests to achieve his methods. It's just, I was in situation 'x', so I did 'y' for hours on end, and got the result I wanted. Well thanks. In addition, the book is based solely on his own experience with no academia to back him up. I did think he was going to touch on Self Determination Theory as early on in the book he uses the same keywords like flow, and incremental learning theory but it doesn't go anywhere. And I guess the worst part is that having listened to the book, I'm struggling to remember anything useful to take home, which isn't great from a book that's supposed to teach you about learning. It would be nice if you just wanted to listen to an autobiography of a successful individual. Deeply inspiring and thought provoking. Josh is not only a brilliant chess player and tai chi master but, as it turns out, an excellent writer (and reader) too. This book blends a gripping true story (not unlike The Karate Kid) but an inspiring guide for improving your own approach to learning. Great stuff. One of the best books I've read this year. Would you listen to The Art of Learning again? Why? The key content is interspersed throughout a long book. I'd want to listen again and take notes at key points. The book tells the story of Josh's life, focusing on his mastery of chess and taichi. It's a really inspiring and interesting life story. His perspective is fascinating to hear, he works incredibly hard at things and then deconstructs why he failed\succeeded at them so he can perform better the next time round. He approaches it with an analytical mindset, but also has an appreciation for meditation and eastern philosophy. 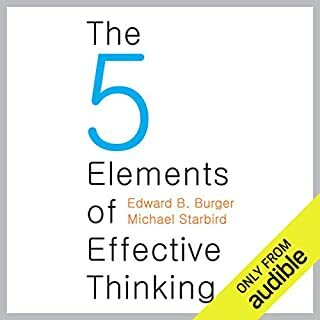 The minor negative to this book is that the information is not always explicitly stated, it's interspersed throughout a very long story, so while I enjoyed the book, I will need to listen again and make notes to recount the key points he mentions and actually make sure to focus on them in my life. If you're a fan of Tim Ferriss you will likely appreciate this book. The last hour of the recording also has a podcast where Josh is being interviewed by Tim. Recommended by Tim Ferriss. Great if you're a fan of his and are interested in the process of learning told in a biology format. A fascinating life, climax got me almost teary. Very very profound and inspiring. 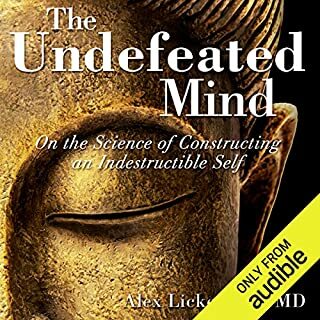 The 1st audio book I've actually finished. While interesting enough, this book is more a biography about 1 mans journey through different masteries than a how to guide around learning. The Tim Ferris interview at the end is littered with noise from one of them, I think Tim, moving about, making some food and possibly eating it. I appreciate the sections about getting past distractions but still felt they added nothing and decreased the quality of the interview. This book took me weeks to finish because I hit the rewind 30 seconds button alot. One of the most enlightening books I have come across and I recommend it highly. 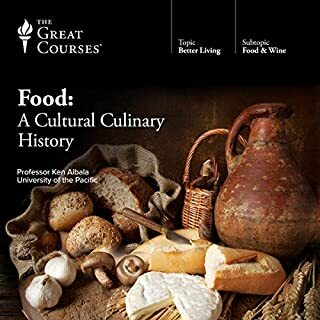 Recommend for anyone who is trying to learn about or is passionate about anything at all! Brilliantly read and written by a world class prefomer and athlete. Many take aways that can be used across many fields. I'm writing this after my 3rd reading. The author needed to speak more clearly and slowly. Far too many technical words in the story. Has The Art of Learning put you off other books in this genre? The title of this book is about the art of learning, however the first two hours was about this persons experience, nothing about learning for the purpose of another person gaining learning skills. There are a few nuggets of wisdom (which were good takeaways), but for a chess prodigy/ jiu jitsu blackbelt under Marcelo Garcia, I found it strange that the author chose to recount the events of obscure tai chi tournaments - A martial art with no real validity in modern fighting (seriously - search for "Tai Chi push hands" into YouTube and you'll find nothing but grainy tournament footage and unfit nerds performing demos in their backyards). I found these long-winded descriptions mind-numbingly boring and irritating to listen to (recommend breezing through these in 2x speed at the very least). This book was truly amazing. The way it is written and spoken takes you into a different world. Unlike other books on self improvement the answers dont seem as obvious, the book instead takes you into the way of life for mastery. I feel like this book really changed my perspective and wished there was more of his books or his dads books on Audible. I highly recommend this book to anyone! this book is about 95% boasting and 5% about the actual art of learning. Would you consider the audio edition of The Art of Learning to be better than the print version? What about Josh Waitzkin’s performance did you like?